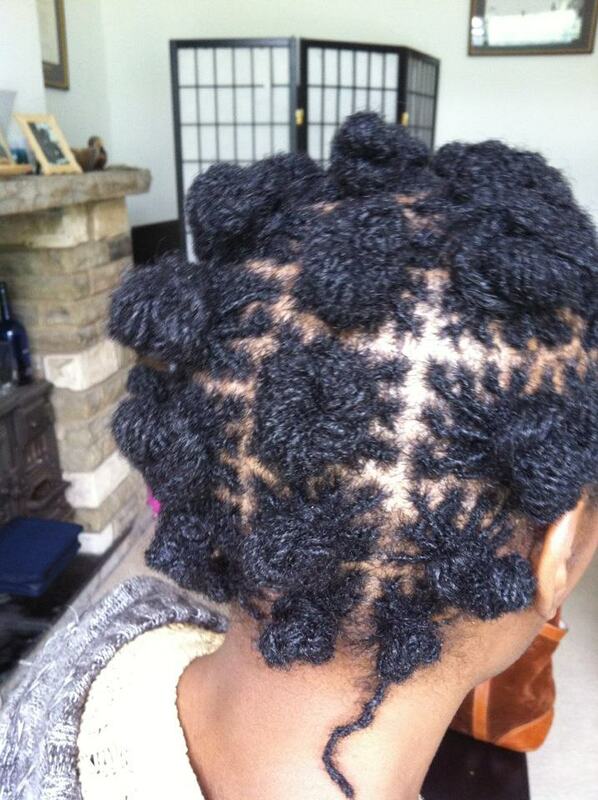 Yes, yes you can have bantu knots/corkscrews/chinee bumps/ with Sisterlocks. This took next to no time at all (I did it while retightening) and I used the water based Almocado Loc Dew to help set it but the same style can be achieved with just water or your favourite setting lotion (or nothing at all!) I used a product because I wanted the resulting curls to last for at least a week - and they did.